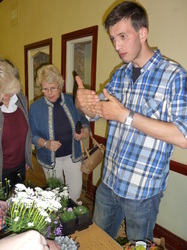 Here you can find all the photos from our meetings in 2011-2013. 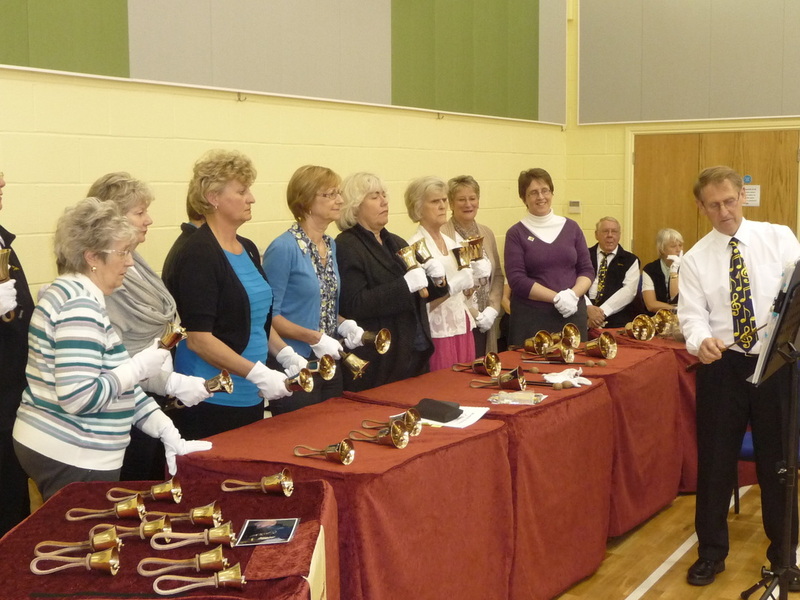 Photos from our more recent meetings can be seen in our 2014 Gallery and on our facebook page. 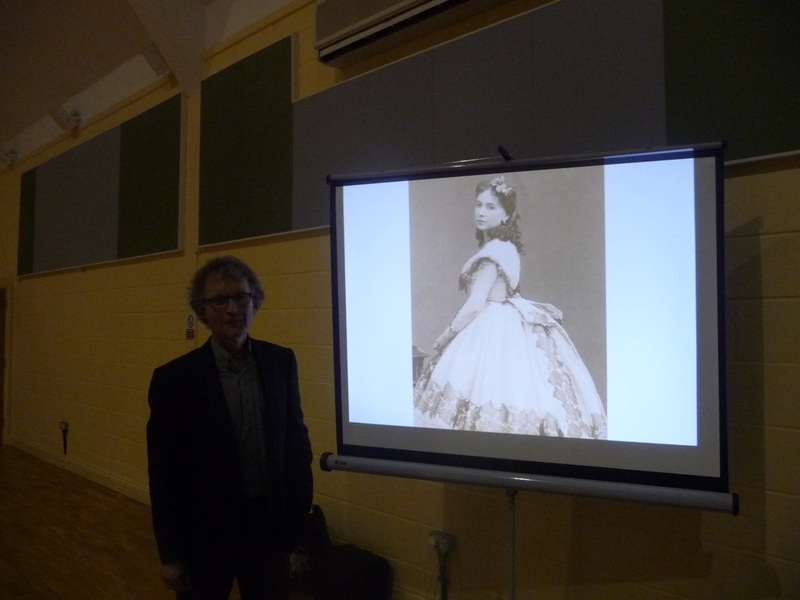 At our January meeting, David Price taught us how certain 'ladies of the night' were employed in the 19th century for their eloquence and beauty. 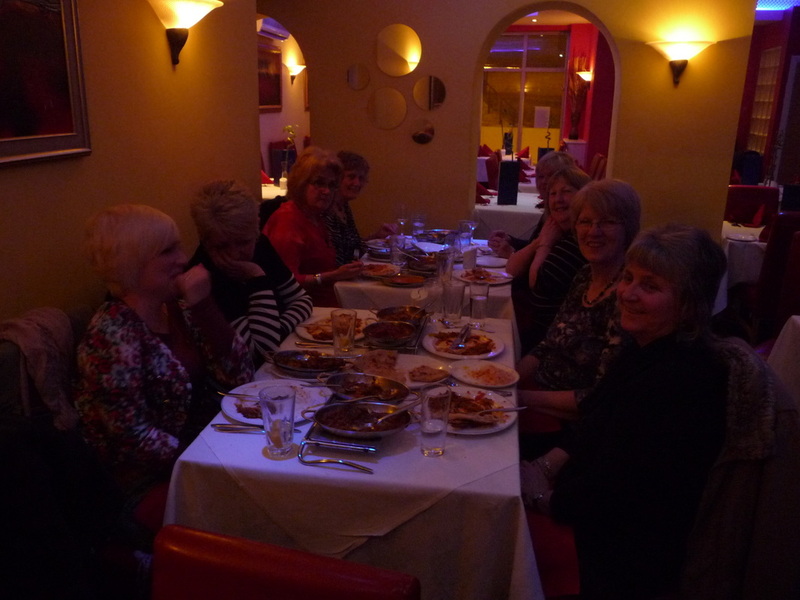 In March, Stanwick WI celebrated International Women's Day with a meal at Mughal Dynasty. 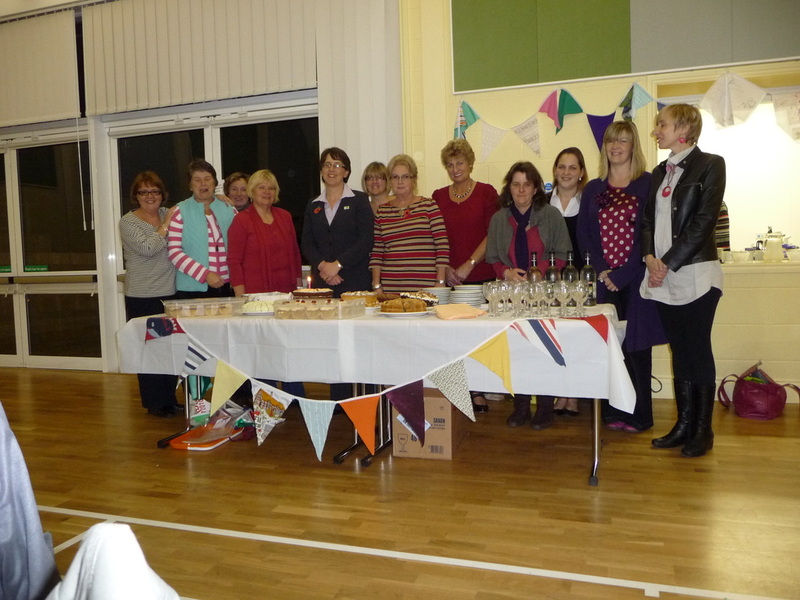 In November, 2012 Stanwick WI hosted it's first FAB footwear fashion show. 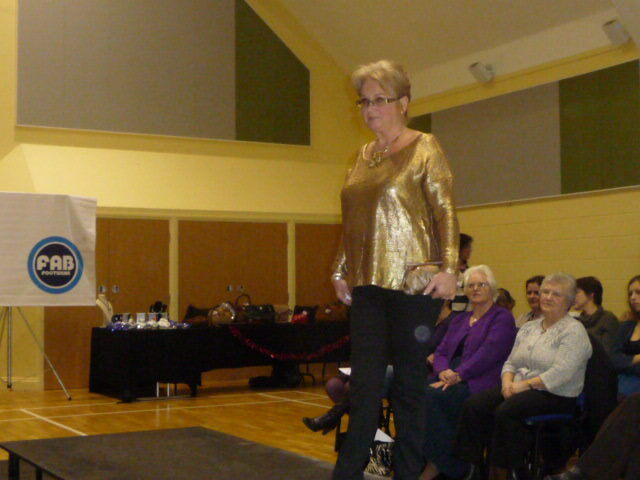 Our very own WI member, Theresa, modeled some great pieces. 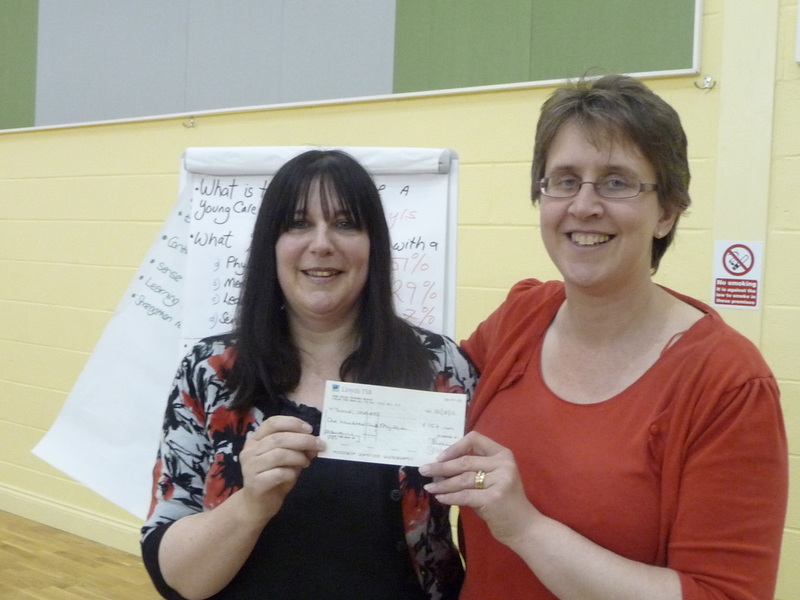 Our president, Sue, handing over a check to our chosen charity of 2012, Young Carers. 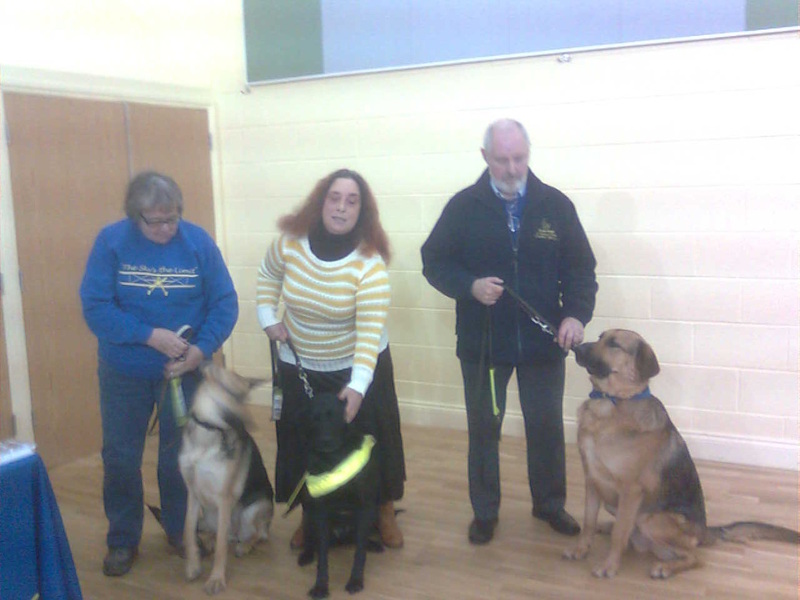 At our February meeting we had a speaker from the local branch of The Guide Dogs for the Blind Association, who brought along some of their amazing and hardworking dogs. Love your Library Day- February 4th 2012. 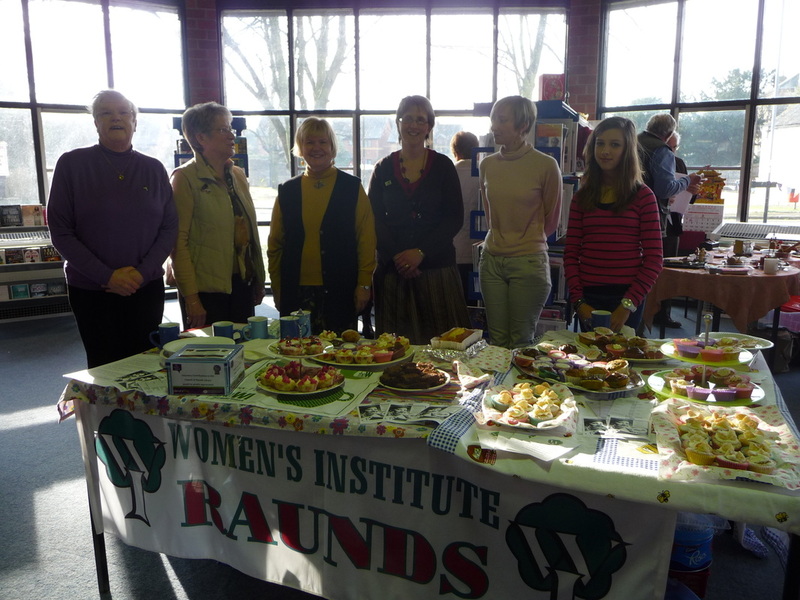 Stanwick and Raunds WI members turned out to offer up free cakes to raise awareness in Raunds Library. 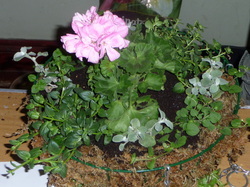 In December we decided to get crafty! 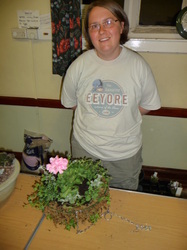 Our Make do and Mend Tutor for the evening shown here, who taught us how to make creative things out of...well...anything really! 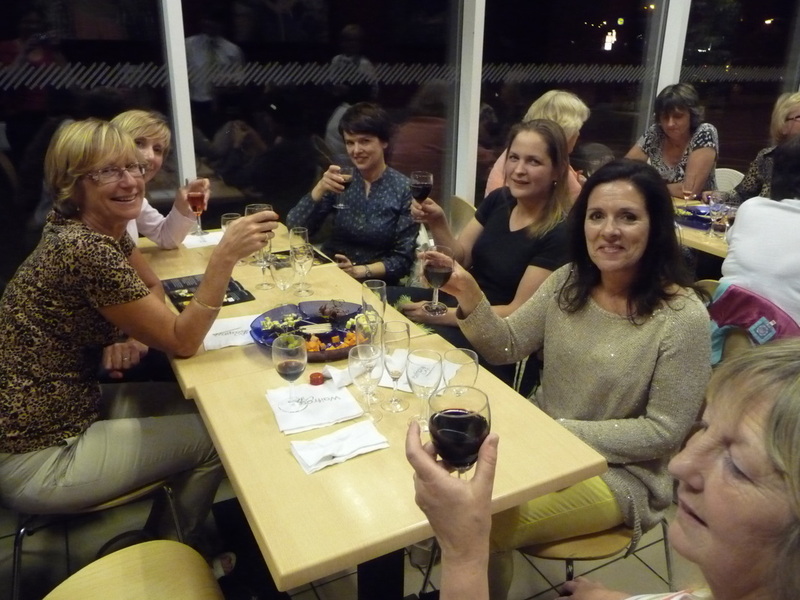 In November 2011 we celebrated our 1st Anniversary. 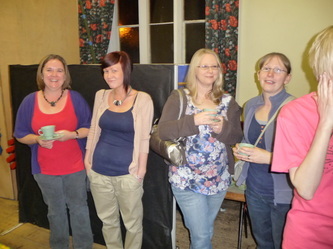 We had a talk from the ladies at the local Women's Refuge. 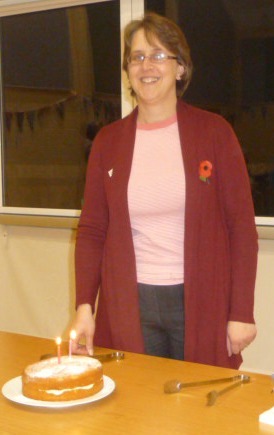 Then Sue Foster, our Chair, led the members and guests in a birthday chorus! 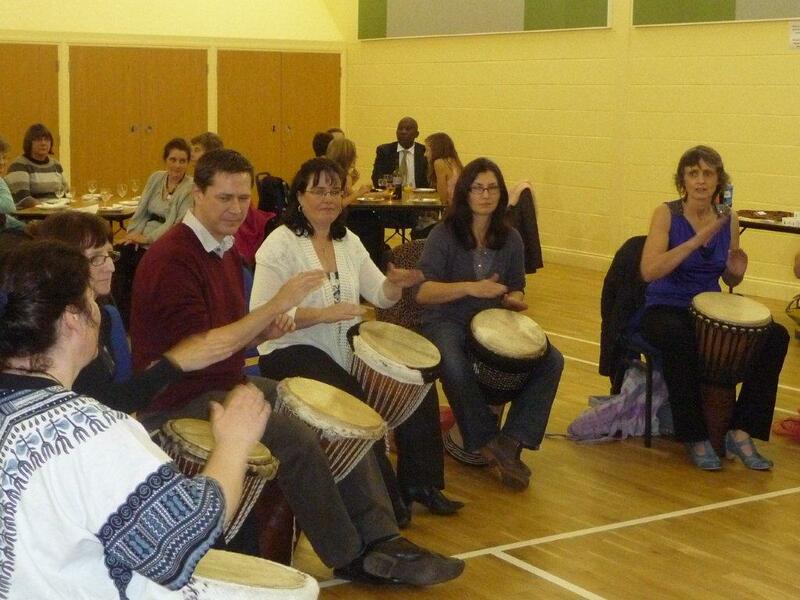 On November 12th we held an additional event- An African Drumming night, with a lesson in how to play and some fantastic Ghanaian food. 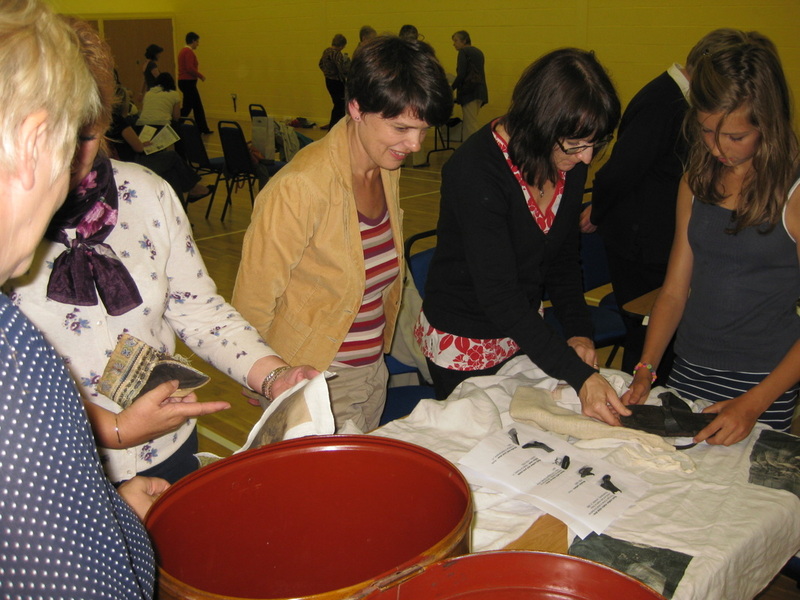 Our September 2011 meeting celebrated the heritage of Stanwick; Shoes! 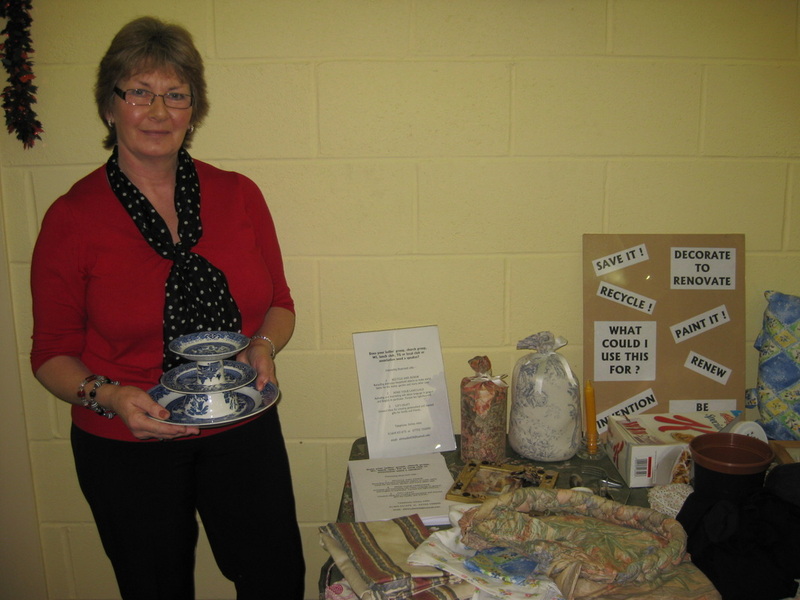 Thanks to The Northampton Shoe Collection and The Rushden Museum for lending us some wonderful items. 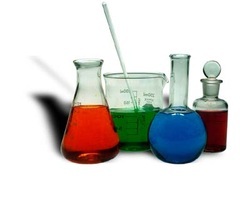 without actually having to do a lot. 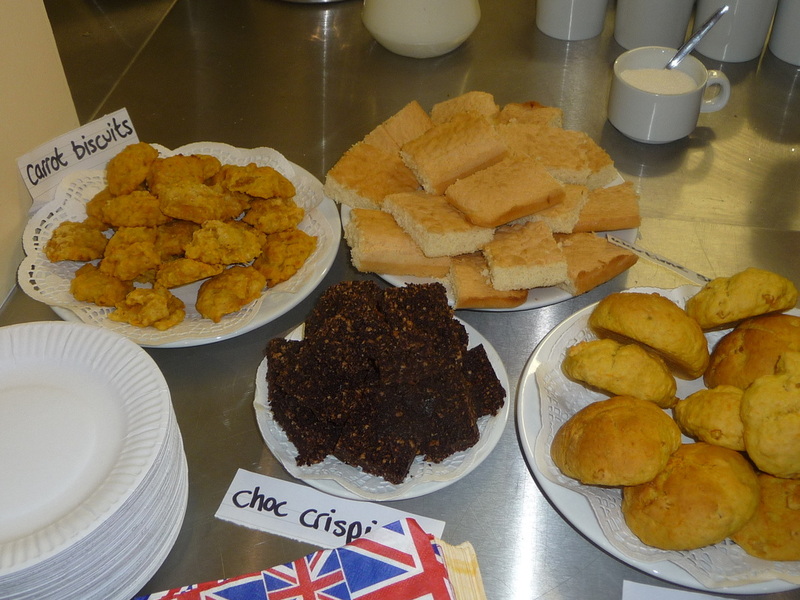 And we were lucky enough to be donated some delicious scones for a cream tea afterwards! 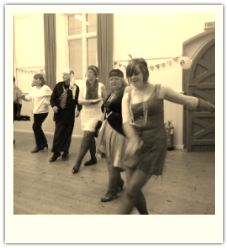 Sue, in the white dress, enjoys being a flapper! 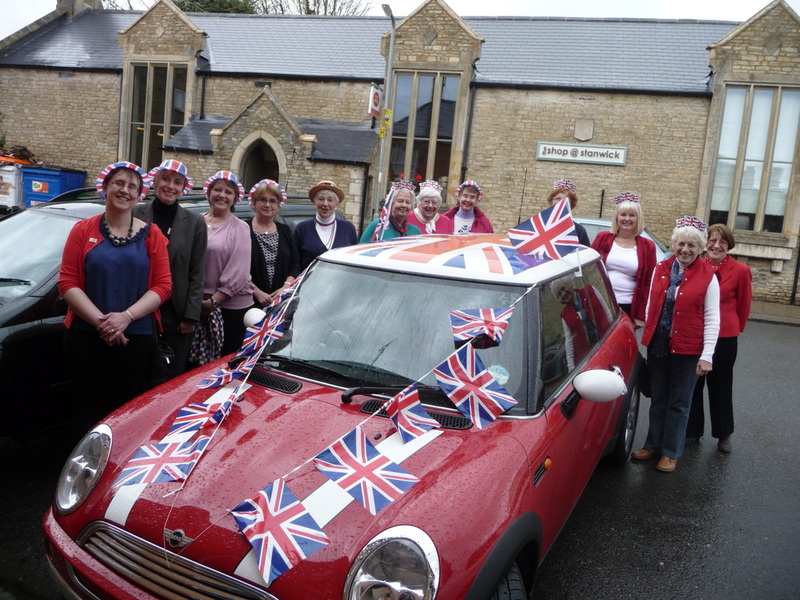 In early April 2 of our members (Sue and Lorette) went to celebrate Chelveston WI's 90th anniversary with them and took part in a Charleston demonstration! 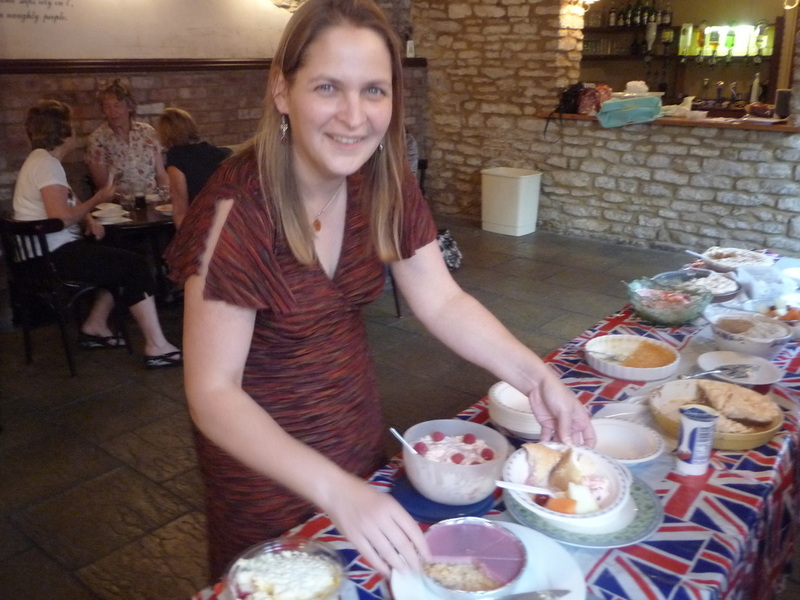 Perhaps we can do something similiar to celebrate our 90th....in 89 years! 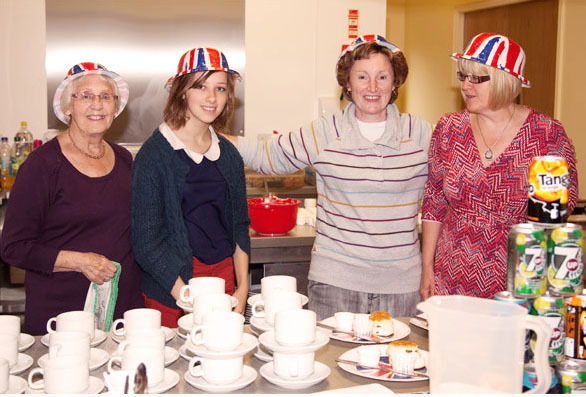 At the end of March some of our members took part in the local charity Annual Crazy Hats Walk at Wickstead Park. 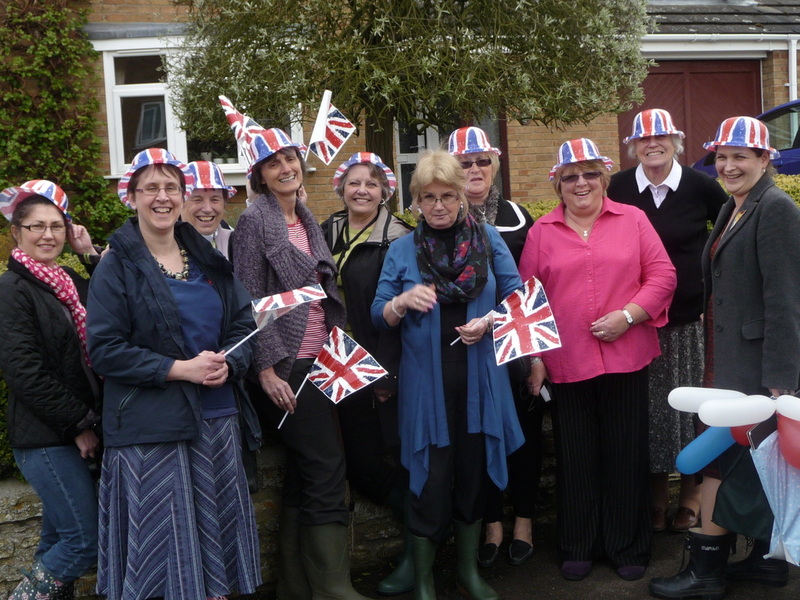 The sky was cloudy, the walk was long, the hats were crazy, and plenty of money was raised to benefit Northamptonshire women with breast cancer. 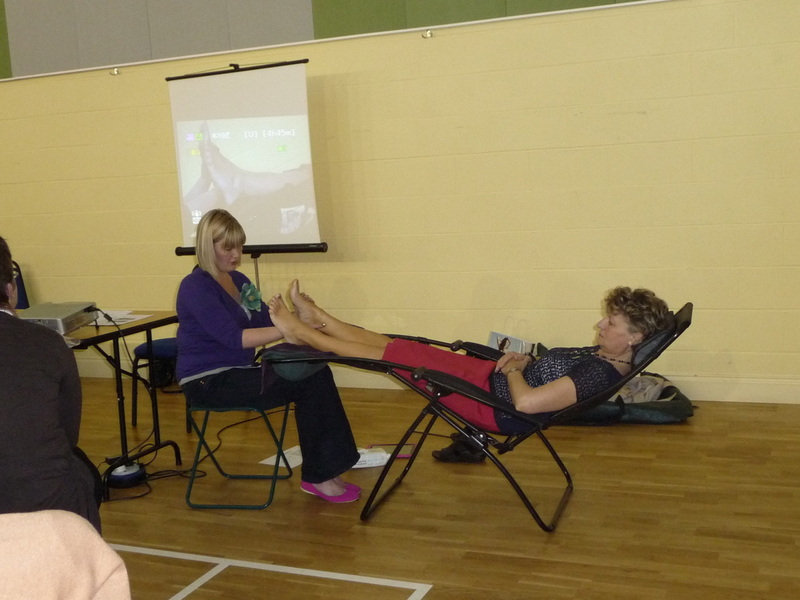 Well done Sue, Christine, Suzy and Lorette and everyone else who took part. 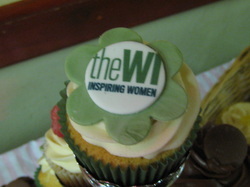 On Friday 11th February , Stanwick WI held a cupcake masterclass with Lisa Staines from Higham Ferrers who runs cupcake company, Cupalicious. 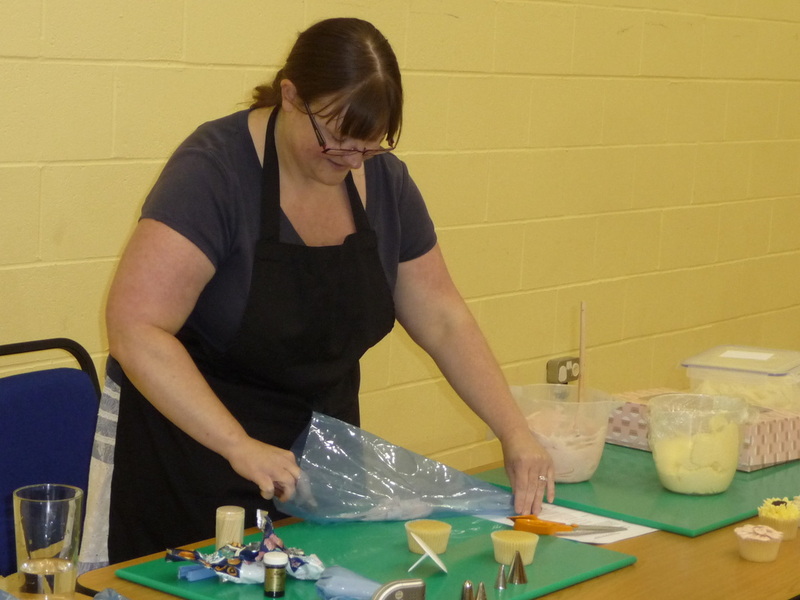 Lisa taught us how to decorate cupcakes to impress, as well as giving tips on baking. Much fun was had, some beautiful creations made and ..ahem...eaten, and let's just say that edible glitter gets everywhere. 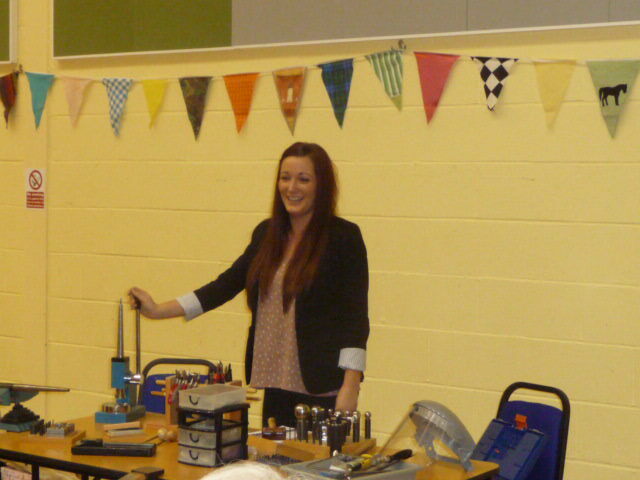 Here's a pictorial gallery of what happened!